Chesterfield Lounges range many Wing Back Chairs. From the Classic Lancaster and Paris wing back armchairs to the buttoned seat of the Nadia our range is sure to satisfy. 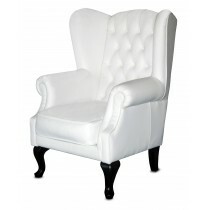 There are a variety of wing chairs to look at and match your furniture. You can order any configuration you like, from high back to low back, there are many designs to choose from. You can also combine it with a chesterfield sofa to add classic style to your area. 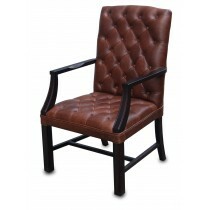 This range of chairs are are popular in both homes and offices. 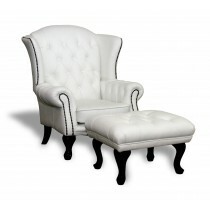 Historically, Wing Back Chairs were developed in the 1600's. The design was unique in that the function of the Chair Wing was to trap heat from the fire around the user - pretty clever. Most commonly they have a High Back and can be quite tall. 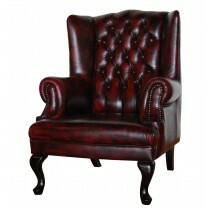 Of course, the idea of using a wing chair in the lounge room is the most common usage. Quite often customers will mix and match their chesterfields. They may buy a chesterfield sofa and match a chair or two to give the eclectic feel they are after. Other uses of the Wing lounge Chair have been to place one in the bedroom as a sitting or reading chair. You can have your wing lounge chair upholstered in either leather or fabric to really individualise your new chair. Wing Armchairs are great nursing chairs for new Mums. With their high back and supportive arms they give solid support and comfort for feeding. Perfect in many rooms, they are often the subject of positive feedback from your visitors. "Where did you get that chair, its beautiful", is a very common comment we hear when we have customers come in who have been referred to us from a very happy purchaser. Chesterffield Gallery has many happy customers that have returned through the years. The Best Wing Chairs are the ones that immediately catch your eye. Everyone has a preference. Maybe they like Traditional Wing Back Chairs or Modern High Back Wing Chairs. 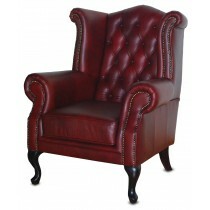 At The Chesterfield Experience the best range of chairs are available for you. Have them upholstered in either leather or fabric and all of a sudden, you have your perfect complement to your room! You are able to order your new Chair Online. 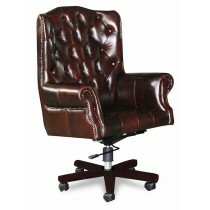 Use our online ordering system to order the chair you want in one of lour factory leathers. If you are after something a little more individual, give us a call, or email, and we can discuss your requirements and complete the order direct with you. You will find it difficult to find better value Chairs anywhere on the web. At Chesterfield Gallery, your online order will save you hundreds of dollars off normal retail pricing. 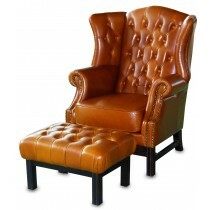 A Wingback Leather Chair will give your room the type of prescence only certain pieces of furniture can provide. When they are upholstered in colours from the traditional oxblood to brown, purple to pink, it will give your room that indivual spark only a 100% Leather Chair in Leather can provide. We have a wide selection of leather colours including Navy, Blue, White, Black, Green, Red, Grey and a great assortment of other choices. 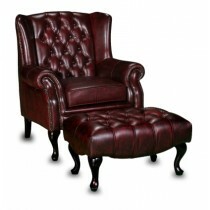 Don't want a leather wing back chair? Well you can choose from thousands of Warwick Fabrics to add a unique look to your home or office. Maybe a velvet Wingback Chair or a yellow fabric. You can also order your new armchair with or without studs on most models. On the models with cushioned sprung seats you can get them made either firmer or softer depending on your preference. 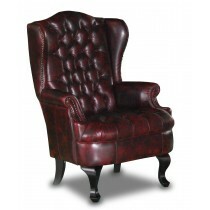 A Wing Back Chair will find a place in almost any home or office. Comfort and a unique appearance add the wing back chair as the orignal furniture feature or accent chair. 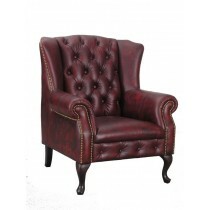 Looking for a Wing Chair or Armchair? Chesterfield Lounges is the place to find it! You want to know how our chairs are made - well they are all made with a robust frame. Constructed using a combination of hardwood, plywood and New Zealand Pine to give years of substantial support. Depending on the style the seat will be either pocket sprung with support from non sag springs or plywood base with foam (for the buttoned bottom seat chairs). 100% leather is used for all our wing back armchairs.